“Compliment” and its nearly identical twin “complement” are two of the most confusing words in the English language, with more meanings than you can shake a stick at. A “compliment” is when someone says something nice, flattering or praising to you. When they’re saying these things, they’re being “complimentary”. But “complimentary” also means “free”, i.e. “your hotel room includes complimentary toiletries”. “Complement”, on the other hand, is when something enhances or completes something else, i.e. “that armchair complements that sofa”. That makes the chair “complementary” to the sofa. So if a speaker has some words of praise to complete and augment her speech, she has some “complementary compliments”. As a copywriter, I’ve written a lot of product copy for furniture businesses. But if I’m writing product copy about sofas and chairs, for example, I need to be careful that I’m using the right “complement”. If I start talking about a chair being “complimentary” when I actually mean that it’s “complementary”, customers are going to think two things: either that it’s a magic chair that will say nice things to them or – more likely – that the chair comes free! If only this glorious confusion ended there, we might have a chance. “Complement” has yet another meaning as well. It means “number or quantity required to make a group or set complete”. So technically we could have a full complement of complimentary complementary compliments. If you need any help navigating the monumental minefield that is the English language, give me a call on 07411 331721 or check out my services page. You can also send me an email at cr_berry@outlook.com. I currently have a special offer on, whereby I can review the main pages of your website and produce a short report for just £30. I will look at layout, readability, user-friendliness, grammar, spelling and the hierarchy of information. I can also check to make sure you’ve used the right “complement”! 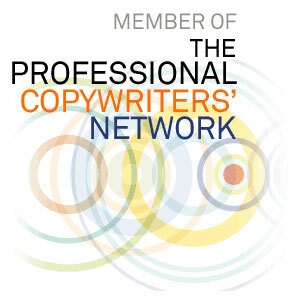 Previous Post Copywriting tips – how user-friendly is your website?